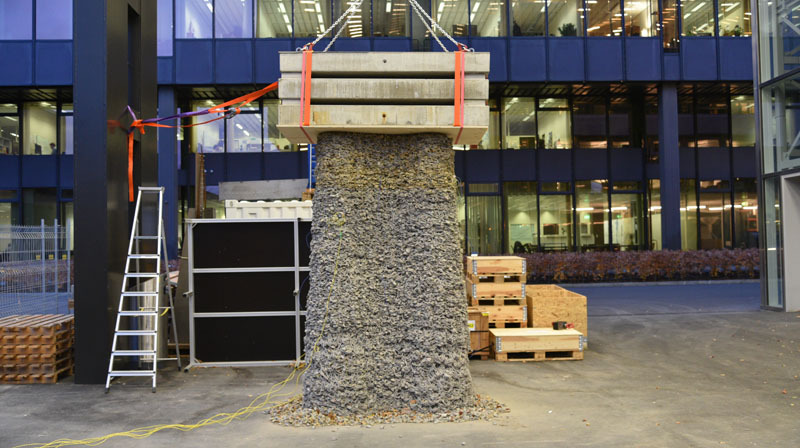 The project investigates and develops methods and techniques for the design and robotic aggregation of low-grade building material into load-bearing architectural structures that are re-usable and re-configurable with high geometrical flexibility and minimal material waste. 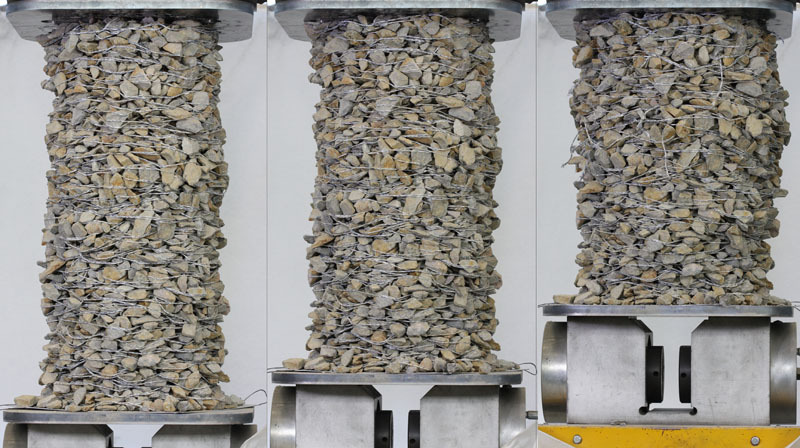 As such, it focuses on a principle called "jamming", which refers to aggregate granular materials, like gravel that is quite literally crammed together in such a way that it holds its form and shape like a solid. 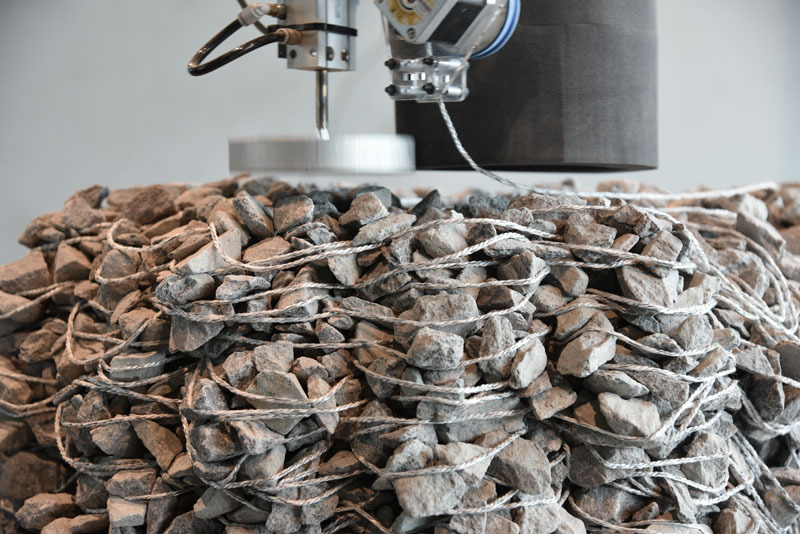 However, in contrast to prevailing research and applications of “jamming” that usually range from nano- to meso-scale, this project targets at the macro-scale and thus suitable to architectural construction, bringing together computational design and simulation with automated fabrication technology. 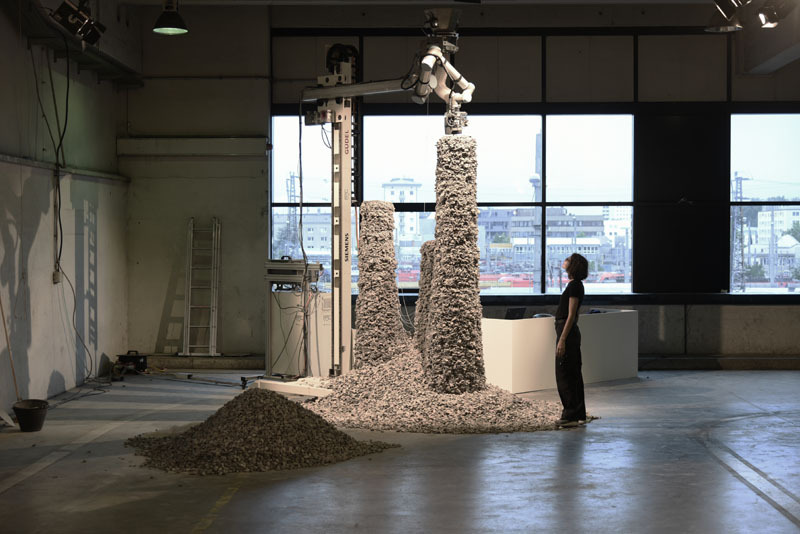 Key principles of this project were demonstrated in 2015 at the Chicago Architecture Biennial (Rock Print) and the Ars Electronica Festival 2017. 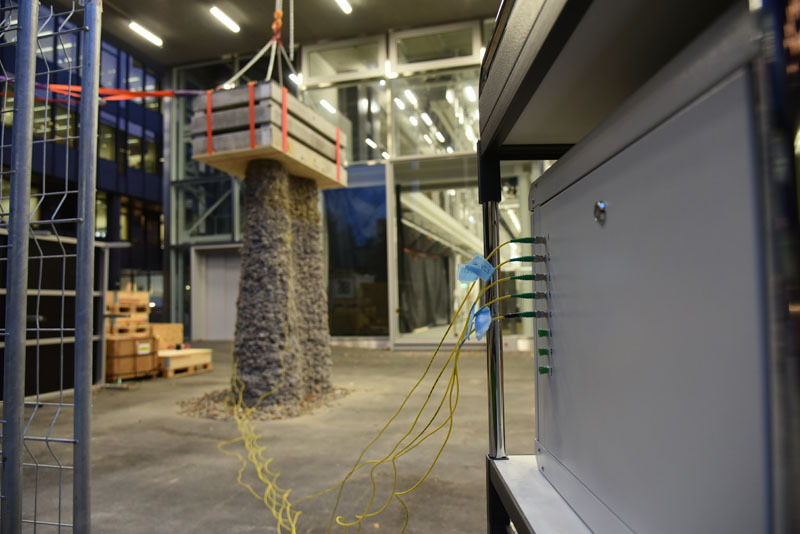 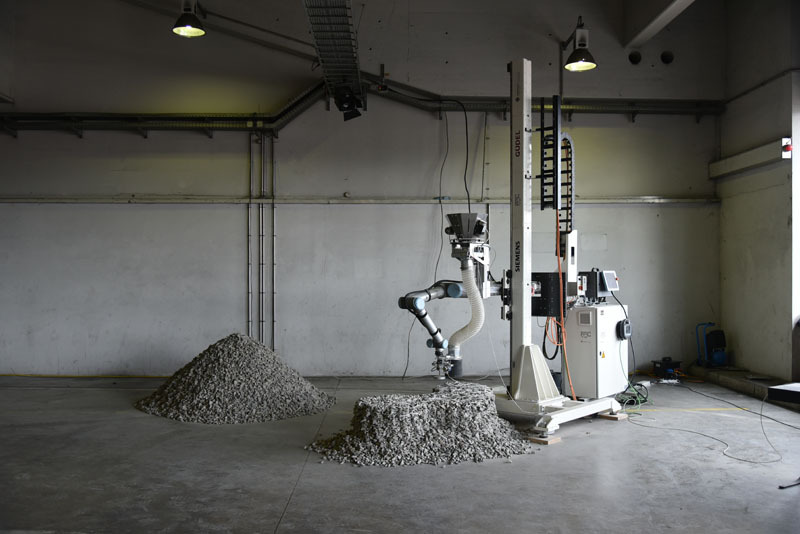 The latest project called Rock Print Pavilion is being built on the church square in the old town of Winterthur in the context of the "Hello, Robot" exhibition. 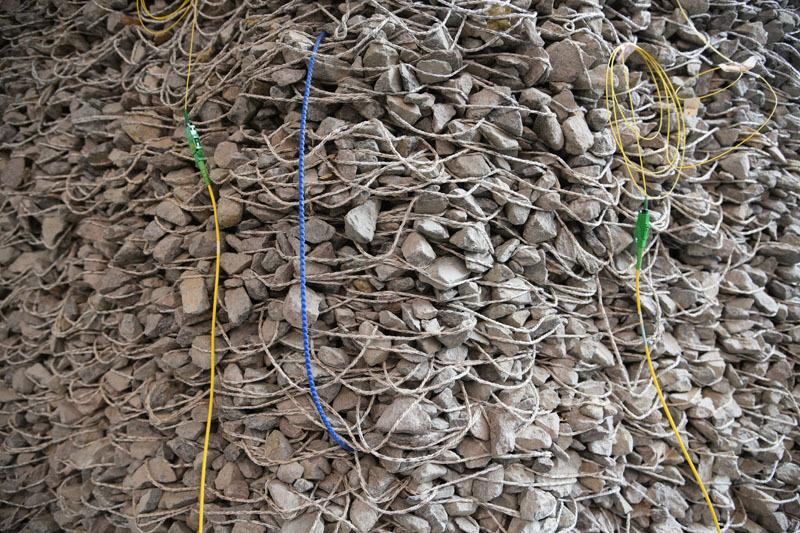 For further information: Gewerbemuseum Winterthur.